BOOKING NOW! 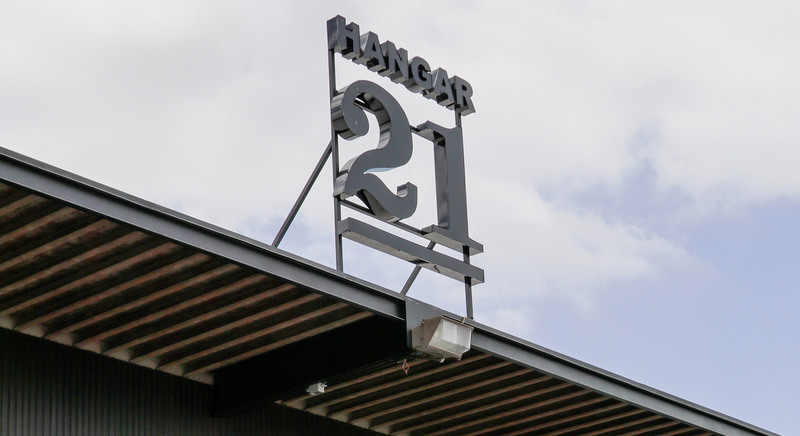 Hangar 21 South is 8,000 square feet of industrial space with 20 foot ceilings, iron beams, and massive floor-to-ceiling rolling doors that bathe the hangar in natural light. 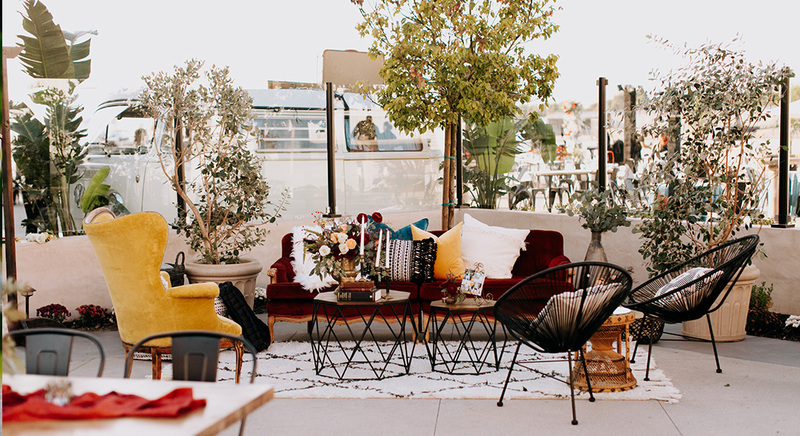 An additional 4,000 square foot outdoor terrace features lush greenery, runway views, and the perfect lighting for entertaining under the stars. Weekday rental pricing is flexible depending on time & availability. Please contact us for your quote. 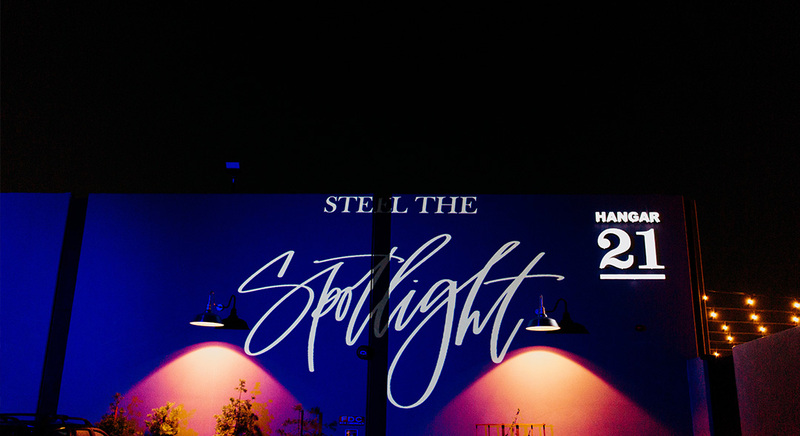 We take your event to new heights by providing a one-of-a-kind experience for your guests that they will never forget. Both venues include a helicopter grand entrance and 3 additional rides. 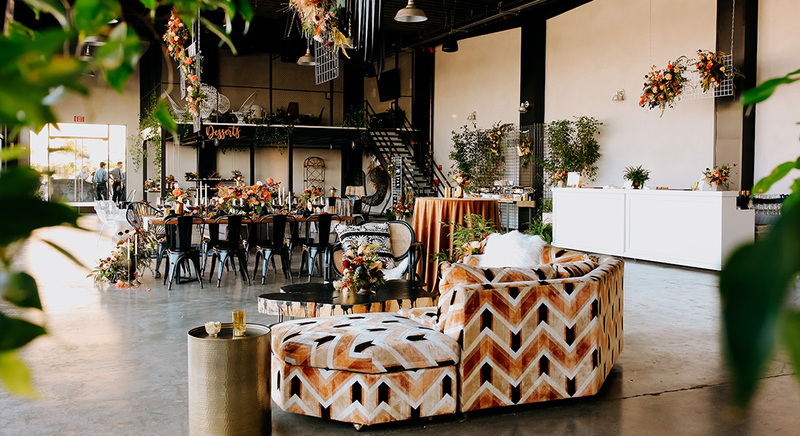 North and South venues are completely independent, separate venues designed for private events. 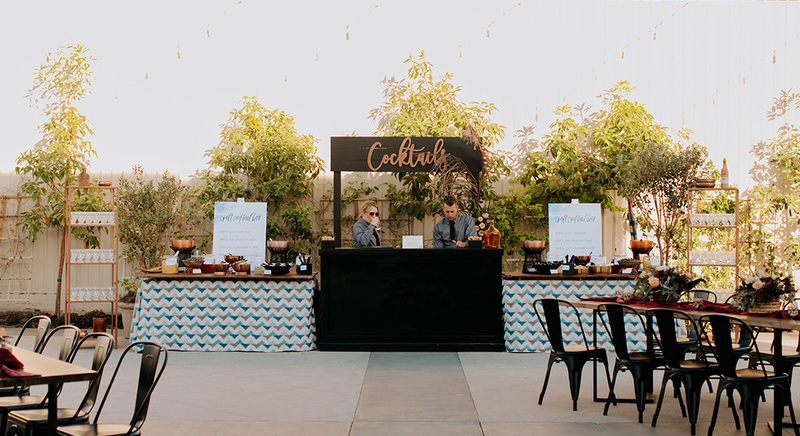 Jay’s Catering provides gourmet food options and party rentals for our venue. We want each event to experience our top quality standards. 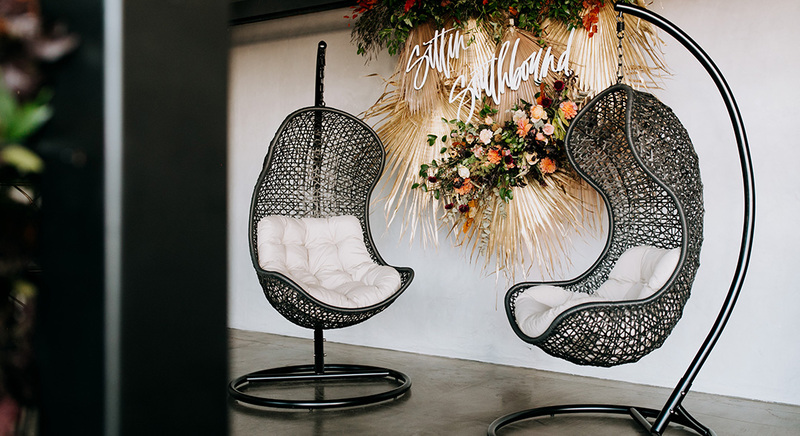 We house all kinds of events from wedding ceremonies and receptions to cocktail parties and intimate get-togethers. It’s the perfect place for any celebration. Tables and chairs included in the facility fee. More of each can be brought in for an additional cost if necessary. Convenient guest parking is available on-site. Valet required for events of 250 guests or more. Additional fee required. Our doors are open to events one at a time. We make sure the entire facility is prepared for private use during each reservation. Start an event at anytime and end it by midnight. 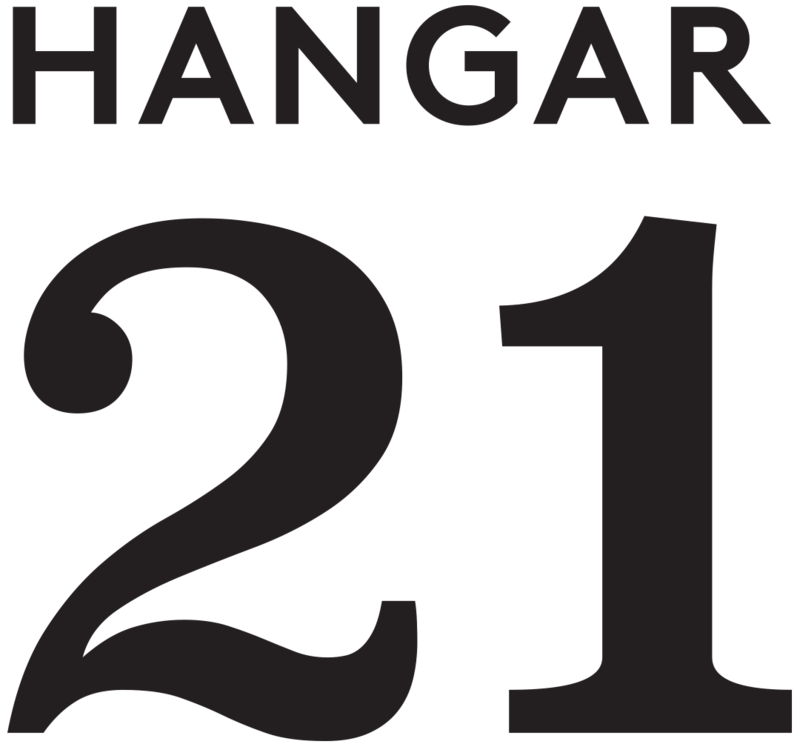 Set-up can begin three hours prior to the event to appropriately prepare the space. We offer complimentary holds on dates for up to two weeks. Other parties interested in the same date during that period force immediate decisions.